what type of acne is this and how do i treat it? 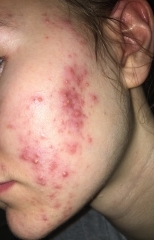 I’ve never personally tried acutane, but a friend of mine had acne very similar to what your looks like and acutane helped her quite a bit. I would talk to your doctor and look into it, it’s worth a shot. have you tried the actual acne.org regimen? 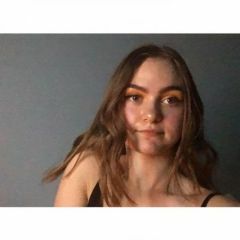 my face looked exactly like this, if not worse back in 2017 and I gave the regimen a try and it SAVED my skin. Do you drink or eat anything with dairy? PLEASE Google this, don't take my word, but my results. I stopped dairy 3 months ago. I've had acne for over 15 years. I'm 30 years old. Dairy is the cause of mine. Deep, painful, cystic acne. Horrible red, painful, pus filled lesions on my cheeks and chin. Minus just milk, cheese, ice cream, dairy is hidden in everything. It was hard, its still hard. I make a choice daily for my sanity and esteem to NOT consume dairy. I drink ALOT of water. I'm sick of water, but its so beneficial, I just chug bottles and get it over with. Please research the connection between dairy and acne. Hormones in women cause acne right? There's hormones in dairy! Thats a solid connection. Its not researched and they'd rather push, pills, potions, temporary solutions that never last. What you put in, is wha t you get out! Take a hard look at your diet. The answers are there, not what you can smear in the surface of your skin.